It seems like everyone is happier around the holidays, and maybe that’s why the holidays mark the start of engagement season! In the USA there is a spike in the number of engagements starting from Thanksgiving and continuing to Valentines day. The number one day to get engaged is Christmas day!!! An almost guaranteed day off work to spend with loved ones, and a day that gifts are already on the mind so why not make that gift a ring. Plus its a great time to throw a surprise engagement party seeing as all of the family are already in town. In our area 17% of proposals happen on the same 10 days of the year, and 40% of proposals are during engagement season. If you just got engaged, or know someone else that did, check out our new special offer on all wedding photography packages! 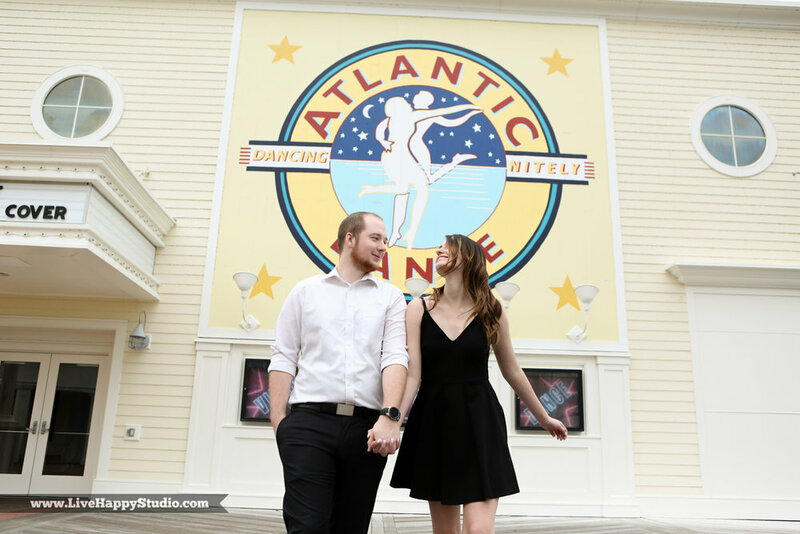 Payton and her fiance flew down to Florida on vacation with some friends to hang out at one of their favorite places…. Disney. 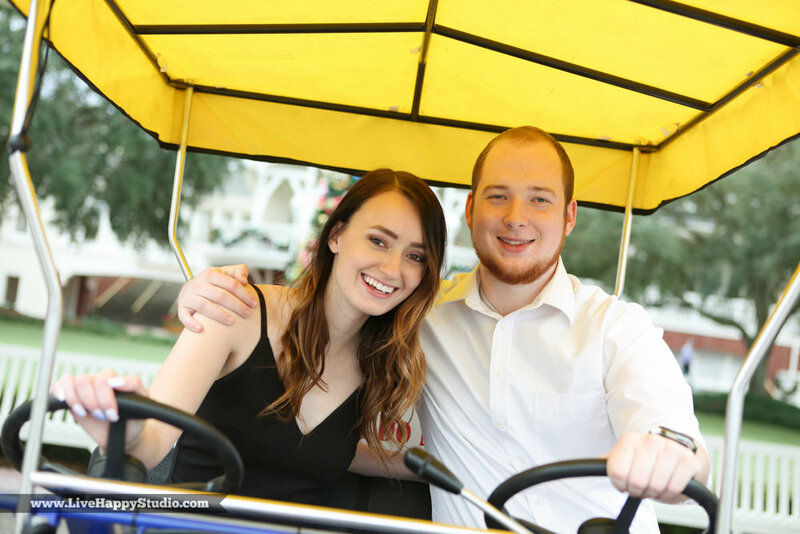 We met them at the Disney Boardwalk to get some engagement photography of them during the holiday season. Disney’s Boardwalk is a great place to walk around and get multiple locations all in one shoot. We took an hour to explore the area, and got a bunch of great shots, here is just a small selection.